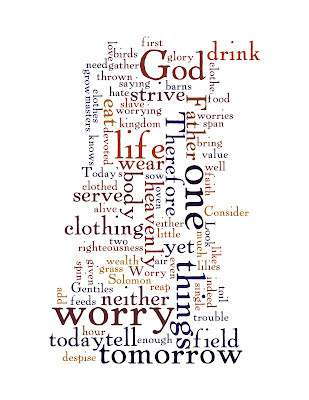 This week's Wordle is of the Gospel reading for Sunday from Matthew 6:24-34. Throughout our everyday lives we are urged to want more; our society places great store on material possessions. It suggests that the car that we drive, the brands of clothes that we wear, the mobile phone that we use all define us in some way. It is easy to be lulled into believing this, and losing sight of our true value as a unique, loved child of God. It is easy to focus on what we want, rather than what we have, and to focus on the material rather than the other ways in which our lives are blessed. However hard life seems, we have things we can be thankful for. Action: Spend some time writing down some things that you are thankful for. Spend some time giving thanks to God for his blessings to you. Pause for reflection: As well as being thankful, we need to acknowledge our anxieties. 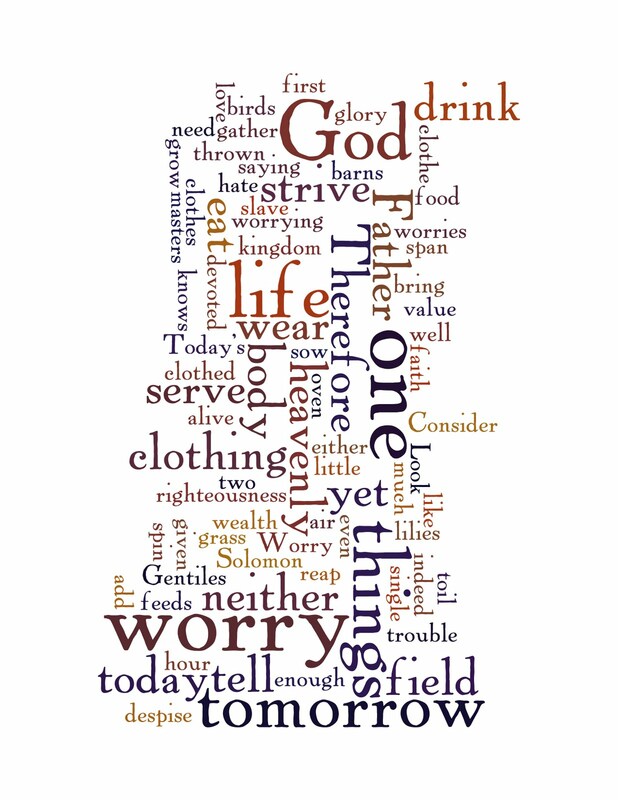 What money worries do you have? Share those with God in prayer. jobs are taken away, and fragile security is under threat.